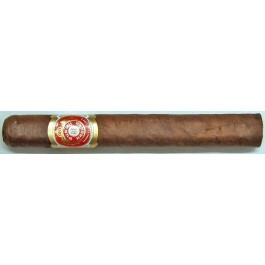 The Punch Punch is a renowned medium bodied Corona Gorda, with nice earthy flavors, 5.6”(143mm) long, of 46 ring gauge, and comes in a 25 cigars box. An excellent cigar, earthy and full of flavors. • Followers of Punch Punch are very loyal to this cigar. • It has both a splendid draw and a great combustion. The Punch Punch is a remarkable cigar. A real joy to smoke. Highly recommended. A rustic looking Maduro wrapper that is quite oily. Good foot and a well applied triple cap. The pre-draw delivers spice and honey flavors. Easy draw and uniform in its burn. The first puffs are of cedar, and like a good Cuban, has just a hint of spice. The start is quite mild but the power increases little by little. The second third, some strong leather notes appear and the stick is getting stronger, it's still medium-bodied though. The final third is rather earthy and close to full-bodied. Nice flavor, Not very complex but still an excellent “go-to” cigar as an everyday smoke. In summary, a great everyday type of smoke. Never disappoints. A classic Cuban.